It took a while, but we made it happen and it’s just a start. More will follow. 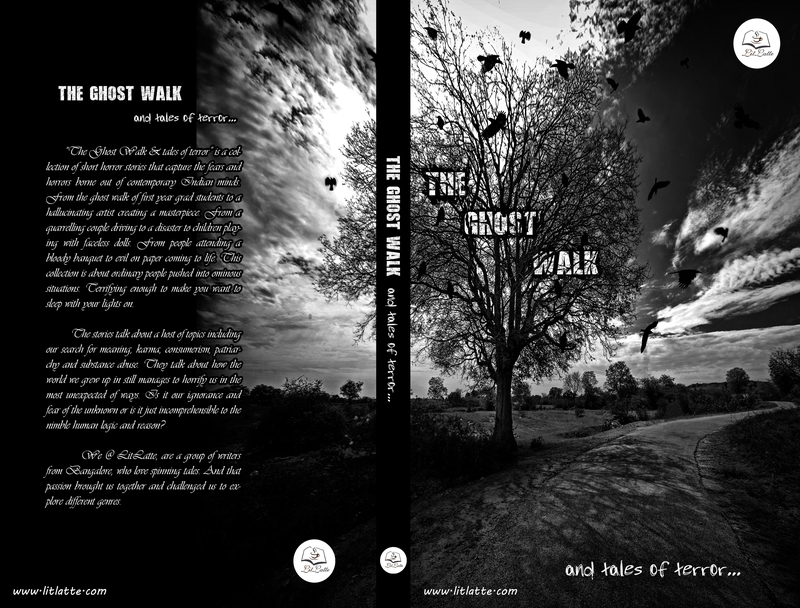 “The Ghost Walk & tales of terror” is a collection of short horror stories that capture the fears and horrors borne out of the contemporary Indian mind. From the ghost walk of first year grad students to a hallucinating artist creating a masterpiece. From a quarreling couple driving to a disaster to children playing with faceless dolls. From people attending a bloody banquet to evil on paper coming to life. This collection is about ordinary people pushed into ominous situations. Terrifying enough to make you want to sleep with your lights on. The stories talk about a host of topics including our search for meaning, karma, consumerism, patriarchy and substance abuse. But underlying all of them is the common feeling of awe and wonderment at a world that we have grown up in and believe we know well enough, which still manages to scare and horrify us in unexpected ways. Also check out our Facebook and Twitter pages and share, like and follow us.